Here is the retreat that you will never want to leave. Somewhere the mainstream is a world away. Somewhere you're secluded and yet connected. Somewhere that's been built with pleasure and not for profit. Somewhere exclusive and yet affordable. Only 18 of these unique, design-led, hand-crafted homes will ever be built. 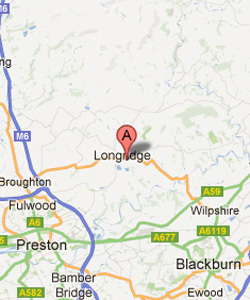 They can be discovered at Moss Farm, nestling in Longridge - the Gateway to the Ribble Valley. These bespoke timber holiday lodges are unique. Each one is designed and built from scratch to the very highest standard. Inside they are equipped with every home comfort and modern appliance, making them feel as cosy as they look. Situated in a quiet rural location on the outskirts of the market town of Longridge, The Lodges at Moss Farm, off Lower Lane, are the vision of a local couple who feel passionately about wood and stylish living.